This week I shared my VINTAGE FARMHOUSE CENTERPIECE, starring all of my favorites...grain sack, toile, ironstone and vintage silverplate. I hope you will head over and check it out. There's a link to a great source for those vintage-y grain sack linens! And now...I'm excited because it's my turn to host this week, so let's get on with the party! July and watermelon just go hand in hand here at CONFESSIONS OF A PLATE ADDICT, so I created my NO-SEW WATERMELON WREATH to reflect just that! It's a fun and festive front-door greeting for your guests and was super easy to make since all you have to do is JUST TIE IT! You will find the full tutorial HERE. 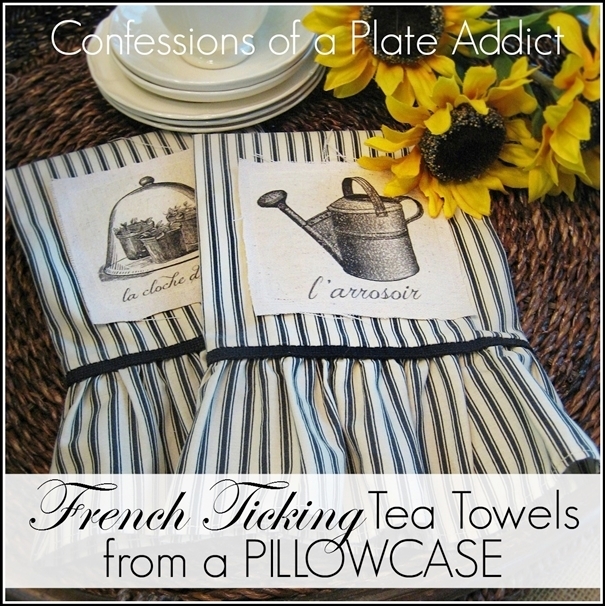 And I am also excited to share another one of my easy projects...French ticking TEA TOWELS FROM A PILLOW CASE! I love tea towels and also like to use them as over-sized napkins This little short cut makes it so easy to create them! And...you will find the FREE GRAPHIC included as well. Now I am on the hunt for some pretty vintage pillowcases, too. The possibilities are endless! 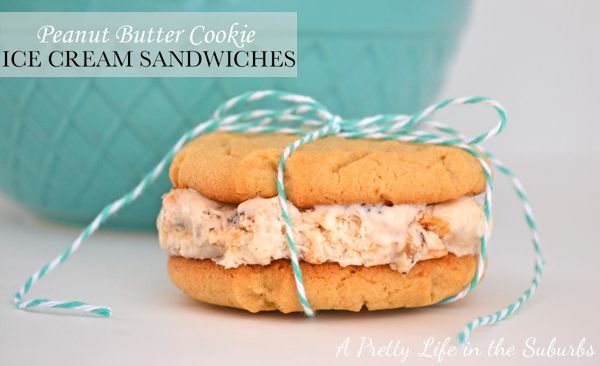 I am definitely going to try these PEANUT BUTTER COOKIE ICE CREAM SANDWICHES from Jo-Anna at A Pretty Life. Ice cream and my favorite cookie...win, win! 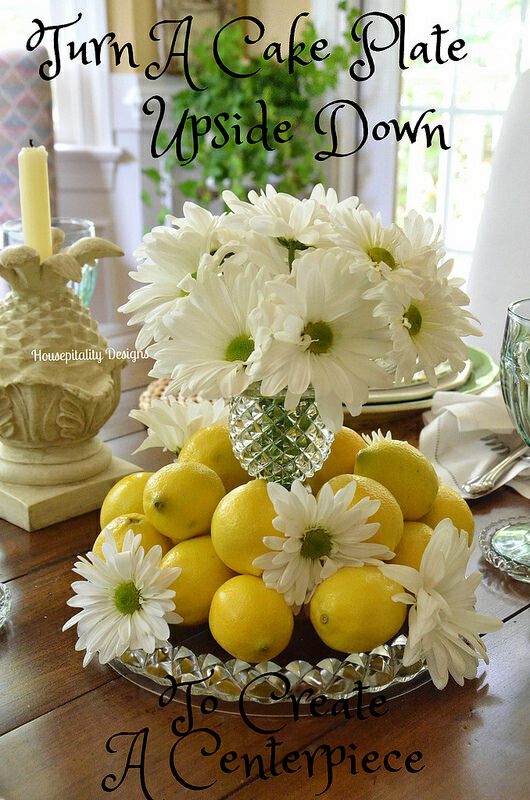 Shirley at Housepitality Designs has me looking at my cake plates a little differently with her SUMMER TABLESCAPE OF LEMONS AND DAISIES. Who knew you could turn them upside down? 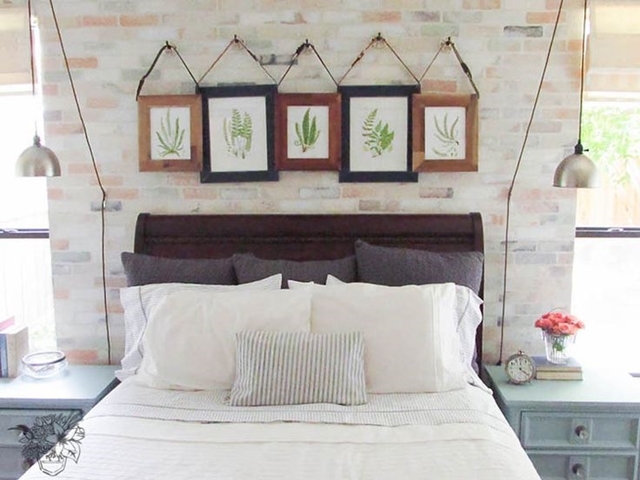 I love these ROMANTIC INDUSTRIAL FRAMES from Cat at Pocket Full of Posies using old belts as hangers! Clever! 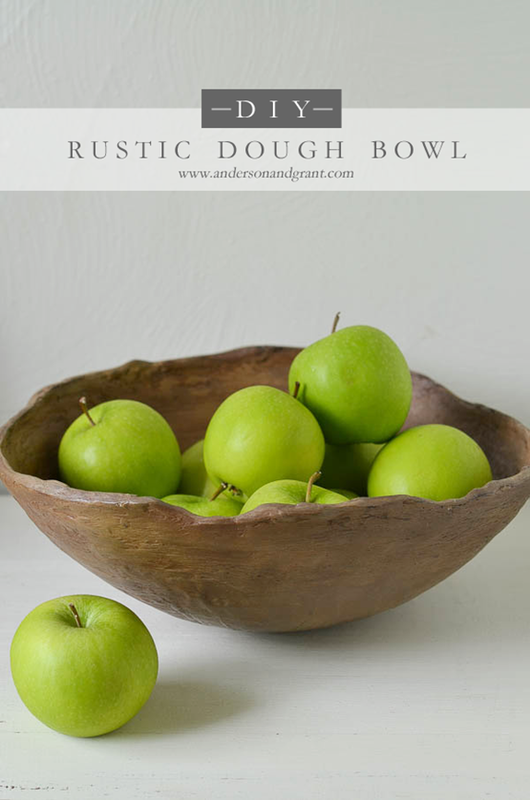 You are not going to believe how Jamie at Anderson + Grant made her own RUSTIC DOUGH BOWL! Be sure to check it out! 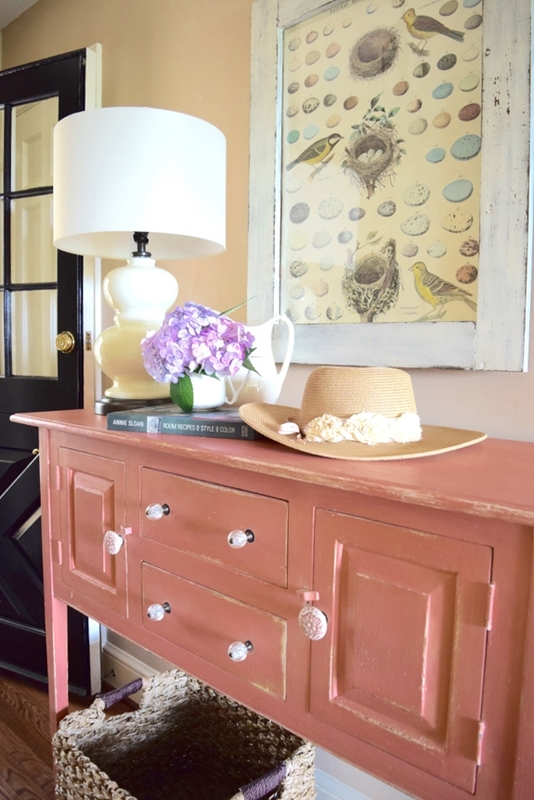 Karen at Karen's Up on the Hill gave a favorite piece a MILK PAINT MAKEOVER and I love the result...such a fun color! Debbie, I love your centerpiece. Lovely. Thanks for hosting. Hope you all have a great rest of the week ! A wealth of inspiration. All I need is time! Great features and thanks for featuring my cake plate centerpiece Debbie!....Thanks for hosting and have a great week!